Since last month, I've been catching up with Marvel. I went through a serious DC phase since The New 52 but I became a little bored with it all after the recent Constantine reboot. So this month, I've got a new Marvel recommendation, an old DC one and something brilliant from Image - that's one newbie and two old favourites! If you're a PR or publisher and would like me to feature anything here, please get in touch with me via Twitter - @weeclaire. Guardians of the Galaxy gets the Marvel NOW treatment and it's surprisingly entertaining but then that's no surprise with Brian Michael Bendis taking the helm. Bendis has a knack for creating the perfect balance between action and melodrama (as seen with All-New X-Men). 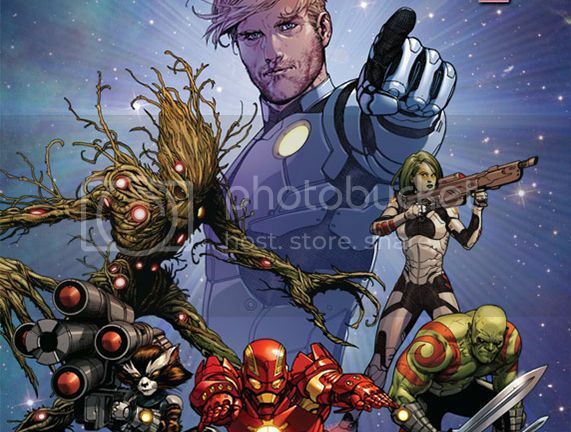 #0.1 is a straightforward origin story and #1 blasts straight into the present with Star Lord, Gamora, Drax, Rocket Raccoon, Groot and Iron-Man introduced in this explosive first issue. With the movie due out in 2014, this could be a great introduction for those not already familiar with the intergalactic superhero team. Since we're all aware of the Man of Steel movie coming this summer, I thought I'd slip in a Superman recommendation here. There are many voices of descent when it comes to Superman. Some argue he's boring, others claim he's just too strong (therefore er… boring again!) but I've always had a soft spot for him. He was the first superhero I'd ever seen onscreen as a kid in the 80s and, for me, he still remains timeless and iconic. Prolific writer Grant Morrison's take on Superman along with artist Frank Quitely is probably one of the best and most enjoyable takes on the character. Morrison flipped the idea of Superman around. What happens when the Last Son of Krypton has to deal with the idea of actually dying? What would he do with his last days as defender of the Earth? 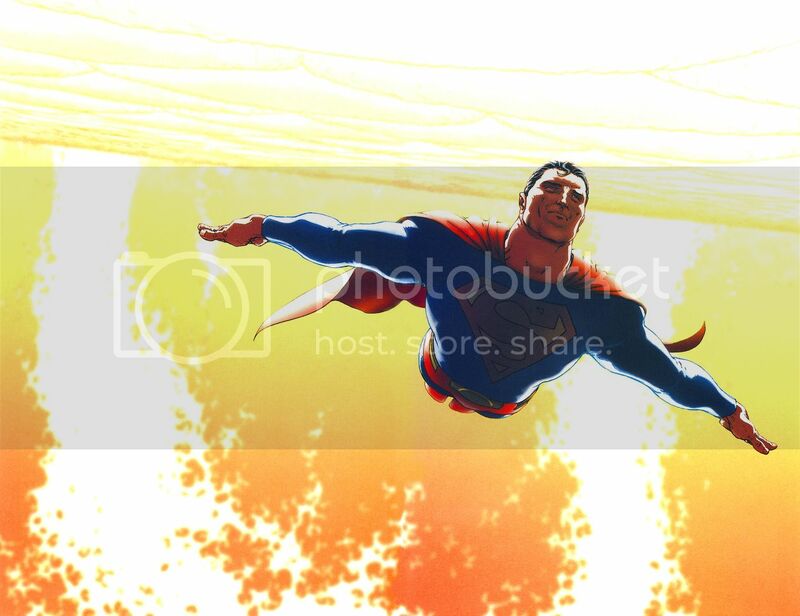 All-Star Superman was released as a twelve issue series from November 2005 until October 2008 but is available in two volumes and I highly recommend it. 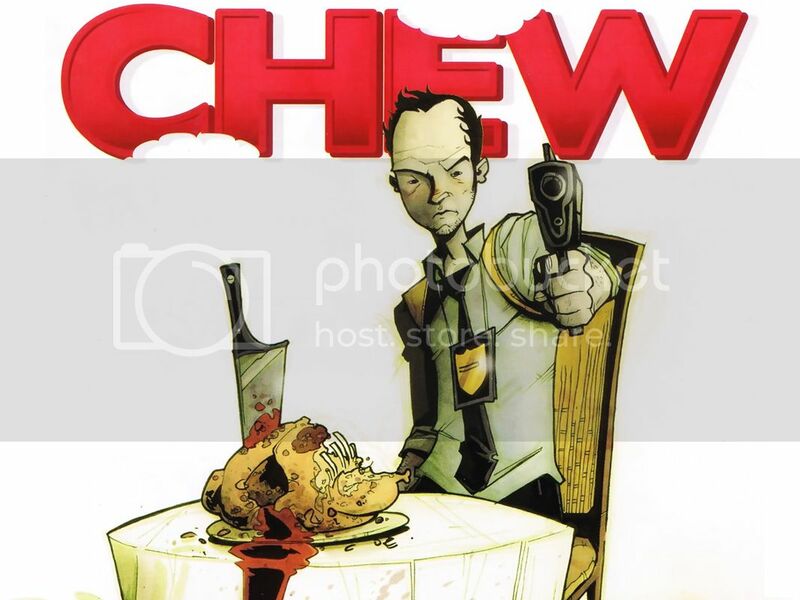 John Layman's Chew follows a simple, if not slightly, odd concept. Chew is set in a world where 23 million Americans are dead after a catastrophic bout of bird flu and now all chicken and bird meat is illegal. That's the simple bit. It's Layman's take on this strange new world that's most appealing. This is really the story of Tony Chu, an FDA (Food And Drug Administration) agent and Cibopath – someone who gets psychic impressions from the food they eats - that includes humans. He's investigating a black market chicken restaurant when he tastes the soup and gets a psychic impression of the cook killing people and putting them into the food. I won't really say much more other than you have six brilliant volumes to catch up on, each are excellently paced, deliciously dark and tongue-in-cheek. Chew is great fun and fantastically written - Image Comics consistently churn out top quality comics.